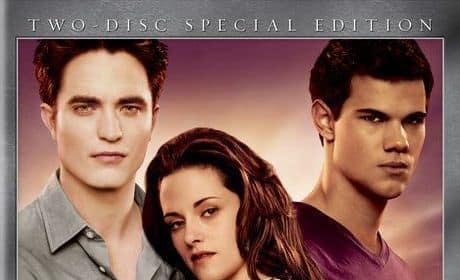 The home video for Breaking Dawn is arriving in February. Breaking Dawn was the most successful of the Twilight Saga films. Bill Condon directs The Twilight Saga: Breaking Dawn Part 1. In this scene, Condon directs Robert Pattinson and Kristen Stewart in their honeymoon scene. Robert Pattinson and Kristen Stewart in The Twilight Saga: Breaking Dawn. The final chapter finds the couple on their honeymoon. Julia Jones stars in The Twilight Saga: Breaking Dawn Part 1. Jones helps Taylor Lautner's Jacob in the protection of Bella (Kristen Stewart). Booboo Stewart gets a bigger role in Breaking Dawn Part 1 than he did in Eclipse. The star is a member of the Wolf Pack who protects Bella. Taylor Lautner and Julia Jones star in Breaking Dawn Part 1. The film arrives November 18. 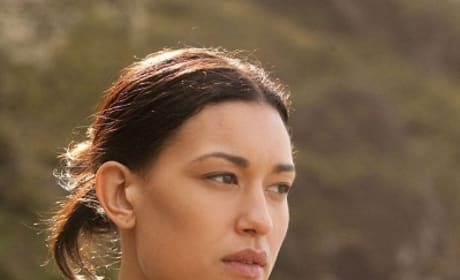 Booboo Stewart and Julia Jones star in Breaking Dawn. The Wolf Pack members get their close-up. Taylor Lautner's Jacob warns the Cullens of an impending attack. The wolves do not like Edward and Bell's "unholy" marriage. Kristen Stewart stars as Bella in Breaking Dawn. The latest clip from The Twilight Saga features Edward and Bella's vows. The Twilight Saga: Breaking Dawn brings a new TV Spot. Love Forever shows Bella's sacrifice. Kristen Stewart, as Bella, gets married in Breaking Dawn Part 1. Taylor Lautner is Jacob in The Twilight Saga: Breaking Dawn Part 1. Lautner accepts losing to Bella in Breaking Dawn.